Following Andy's lead, I'll say that if I don't finish within two weeks you have permission to yell at me. In the off chance that you are one of a handful of people I know are refereeing a paper that has been sitting on your desk for 10+ months, why not aim at mid-October as a goal? In response to the question as to whether we cross the border into Pakistan, Palin says, "If that's what we have to do to stop the terrorists from coming any further in, absolutely, we should." She shares my view that we will do whatever is necessary. The problem is that you don't announce it ... Teddy Roosevelt, "Speak softly, but carry a big stick". She shares my view on that. Shorter McCain. We'll do exactly what Obama says he'll do, but we won't say it. John McCain wants to raise my taxes! The important thing to keep in mind is that if you're pulling down between $227,000 and $603,000 per year OBAMA WANTS TO RAISE YOUR TAXES!!!!!! by $12. Clearly a principle that has served us well in the past. I'm finding a bit of spare time to work on a paper I'm tentatively calling 'Phenomenal Conservatism Defeated'. While I'm somewhat inclined to think that phenomenal conservatism is preferable to other conservative views, I'm very inclined to reject the whole lot of conservative views about justification. Anyway, a few thoughts I've been working out for the paper. First, I've just about finished off the section in which I argue that Huemer's phenomenal conservatism commits him to a crude sort of cultural relativism. Second, I think I've put my finger on where his self-defeat argument goes wrong. That's what I thought I'd post on today. (1) When you form beliefs, your beliefs are based on the way things seem to you. (2) If your belief about p is based on something that does not constitute a source of justification for believing p, then your belief about p is not justified. (C1) No belief is justified unless you may have a justification for believing p in virtue of its seeming to you that p (Huemer 2001, 2007). (3) If you deny PC, you do so on the basis of how things seem to you—how they seem intuitively to you. (C2) Your denial is self-contradictory as it is a denial, inter alia, that the way things seem to you constitutes a justification for the belief you hope to justify (i.e., that PC is false). (5) Because Don Diego assured her that the dangerous and dishonest Zorro is nowhere around and she believes him, Elena believes she is safe. (6) It would be self-defeating for Elena to base her beliefs on the word of a man that she believes to be untrustworthy. (C2) Elena’s belief that she is safe is unjustified for reasons of self-defeat because she bases it on the word of someone she believes is untrustworthy. (6’) It would be self-defeating for Elena to believe she is safe basing this belief on the word of a man when she acknowledges that this man’s word is not a source of justification. It’s not enough for self-defeat that she have some de dicto attitude that represents the man to whom she speaks as untrustworthy, she needs to identify the man as being untrustworthy. Replace (6) with (6’) and the argument still won’t work. And the reason that the argument still will not work as an argument for (C2) is that while (6’) isn’t false, it is inapplicable. Elena has no idea that Zorro and Don Diego are one. Maybe this problem isn’t insoluble. The phenomenal conservative could show us that our beliefs are based, at least in part, upon the way things appear to us. Further, they might argue that facts that can come apart from appearances cannot be part of the basis of our beliefs. Finally, they might argue that facts that are not part of the basis for our beliefs are irrelevant to the justification of our beliefs. In other words, the justification of all our beliefs depends wholly on the ways things seem to us. With this in place, the denial of PC would be self-defeating, for it would amount to the denial that none of the properties relevant to the justification of our beliefs could provide us with justification for those beliefs. We couldn’t justifiably accept this set of beliefs. Naturally, the success of this argument depends on the success of the arguments for these further claims. Note that what the argument would do now, however, is say that it would be self-defeating to accept a rather large set of claims while also denying PC: that the justification of our beliefs depends entirely on the basis of our beliefs (JB); that the basis of our beliefs consists entirely of how things seem or appear to us (BS); and that if it seems to us that p, we thereby have some degree of justification for our beliefs (PC). Recall from the section previous I pointed out that the self-defeat argument for PC relied on two claims: that the justification of our beliefs depends entirely on the basis of our beliefs (JB); that the basis of our beliefs consists entirely of how things seem or appear to us (BS). Anyone who wants to reject the sort of argument I’ve offered for relativism above would probably want to say that when it came to the justification of action we would not accept the practical analogues of JB and BS: that the justification of our actions depends entirely on the basis of our actions (JBA); that the basis of our actions consists entirely of how things seem or appear to us (ABS). We know how things seem to the terrorists and the cannibals and when they try to justify their actions we simply do not care that no matter how long we rummage around in their motivational set we cannot find overriding reasons they accept not to engage in cannibalistic or terroristic acts. We do not care that we cannot find reasons they accept that undermine the justifications they offer for their repugnant moral beliefs. We know full well that there were reasons that spoke against their actions and that he feeble reasons they offer in the hopes to show that the case in favor of cannibalism and terrorism was sufficient to justify their actions could do no such thing. So, while it might be that reasons to Φ only justify Φ-ing if they are motivationally efficacious, reasons not to Φ can threaten the justification offered for Φ-ing even if they are, as they always are as ‘cons’, motivationally inert. If reasons not to Φ can get their ‘normative work’ done by removing permissions and setting the justificatory standards it would take for there to be a sufficient case for Φ-ing without playing any motivational role in the agent’s psychology, why think that these sorts of reasons have to be found in the agent’s psychology at all? Why not think that they can be found in the facts found in the situation regardless of whether the agent is aware of them or not? If we’re prepared to say that objective moral standards determine whether an agent’s actions can be justified and the most the agent can hope to do by telling us about what led him to act is an excuse or exemption, we have to reject JBA if we are to retain ABS. And, if we are to reject JBA while accepting (1), we have to reject JB as well. Maybe nothing counts towards the justification of a belief unless it is part of the reasons for which the agent believes, but maybe something counts against the justification of a belief even if it is not part of the subject’s basis for believing. Perhaps it needn’t even be part of the subject’s psychology. According to PC, if it seems to you that p, you thereby have some justification for believing p. It doesn’t follow that the belief that p is justified for you, that depends on whether it seems that particular seemings are untrustworthy or whether the seemings that support p are flimsy and wavering. I suppose, then, that if you have the robust appearance that p and no available reasons to suspect that p is false or appearances are in this sort of case misleading, the belief that p is justified for you if it seems that p. Suppose p is a moral judgment. Can seemings provide justification for our moral judgments? It seems they can. It might not seem that way to you, but it does to Huemer and myself. So, what should the phenomenal conservative say when morally things seem one way to one of us and a different way to someone else? That depends on the particulars. Here they are. Suppose Huemer and I have what seems to be a reasonable moral disagreement. He thinks that we oughtn’t eat meat from factory farms. I think it’s permissible. We talk it over and it becomes clear that there is no factual disagreement that underlies our moral disagreement. What we have is, at bottom, mere a difference in intuition. I think that if there’s no good reason to believe that refraining from eating meat will make a causal difference, you needn’t worry about eating meat. He thinks there’s a further reason to refrain from eating meat ‘over and above’ the reasons we have to refrain from causing harm or creating the serious risk of harm. What should the phenomenal conservative say about this sort of case? This is a somewhat delicate matter. They could say that my intuitions justify me, his intuitions justify him, and we both leave with justified beliefs about the matter. Alternatively, we might both see no reason to discount the intuitions had by the other and think that this is a matter too difficult to decide and suspend judgment. I can see the phenomenal conservative going either way on this one. (2) There are some subjects whose intuitions suggest that they should feel free to engage in cannibalism or suggest that they are obligated to engage in acts of terrorism, in which case they should judge that she should feel free to engage in cannibalism or judge that she is obligated to engage in acts of terrorism unless the justification provided by their intuitions is defeated by further intuitions or further seemings. (3) If these subjects live in cultures that condone or encourage cannibalism or terrorism, it is unlikely that these subjects will have defeaters in light of which the justification provided by intuition would be overridden or undermined. (C) If a subject lives in a culture that condones or encourages cannibalism or terrorism and has the relevant intuitions, it is permissible if not obligatory for these subjects to engage in the acts of cannibalism or terrorism that they judge they should engage in. It’s clear, I hope, that only a crude sort of cultural relativist could accept this argument’s conclusion. Which of the argument’s premises should we reject? Huemer (2005) rejects this sort of crude relativism on apriori grounds, as he should, but unless he’s prepared to reject (2) or (1), in so doing it seems he’s suggesting that we know apriori that there cannot be subjects of the sort I’m imagining (i.e., subjects who both have robust intuitions that justify believing that cannibalism isn’t impermissible or believing that terrorism is obligatory). That’s simply not plausible. So, which do we reject? Do we say that moral intuitions cannot justify moral beliefs because they are the wrong sorts of moral beliefs precisely because anyone who had those beliefs would be motivated to engage in morally impermissible actions? That seems plainly inconsistent with PC since it is using something beyond the subject’s intuitions or seemings to determine whether these subjects have justified beliefs. Should we instead say that it’s possible for someone to be epistemically obligated to believe that they are under certain moral obligations or free to engage in certain kinds of behavior even if they are forbidden from acting on these epistemically required beliefs? That seems the only option for PC if PC isn’t going to lend support to the sort of crude relativist view that accepts (C) essentially on the grounds that there are people whose attitudes are ‘pro-terrorism’ or ‘pro-cannibalism’ and have an insufficient stock of defeaters to undermine or override the justification intuition provides these abhorrent attitudes. To defend PC, one could deny (1), but (1) isn’t the sort of thing we can sensibly deny. It seems that if you judge that you ought to Φ and are not suffering some failure of practical rationality you will thereby be motivated to Φ. It seems that if you held that (1) was false, you would have to say that while someone ought to have judged that they ought to have Φ’d, or at the very least oughtn’t have refrained from this judgment, they nevertheless were obligated to refrain from Φ-ing. This complex obligation, however, is one that it is impossible to fulfill if you satisfy the conditions necessary for being a practical agent capable of exercising rational control over your actions. Who would believe in such obligations? I know that some defenders of PC don’t believe in such obligations. In attacking externalist theories of epistemic justification, they dismiss as absurd the idea that there could be obligations to refrain from believing certain propositions when there is nothing available to the subject that indicates that this proposition is somehow different from other propositions they are permitted to accept (Huemer 2006: 151). Yet, the practical obligations the defender of PC has to accept in accepting (1) are, if anything, worse: they are obligations to refrain from acting that an agent is under even when the agent is obligated to believe that there are no such obligations to refrain from acting. I suppose in defense of PC, someone might say that there is something special about epistemic obligations such that while it is absurd to say that you can be epistemically obliged to refrain from holding a belief with no internal indication that this belief is different from other beliefs permissibly held, there is no absurdity in the suggestion that moral obligations are such that there could be pairs of actions that differ in deontic status such that the first is obligatory or permissible and the second is forbidden. But, then it seems that on this view, we should two things. First, we should expect that sometimes the correct advice to give someone is of the following form: you must believe that you must Φ but you absolutely mustn’t Φ. Second, we should expect that sometimes questions of the following form should be open: while I know he absolutely must accept that he should Φ rather than Ψ, I wonder if he might be obligated to Ψ instead? I submit that it would be absurd to offer advise such as this. I submit that questions such as this aren’t open. If the only thing keeping PC from a crude sort of relativism that says that terrorists with the sorts of intuitions terrorists tend to have that keep the sort of company that terrorists tend to keep really ought to engage in terroristic acts is the denial of (1), there really is nothing that should encourage the thought that the phenomenal conservative can avoid condoning terrorism. The same can be said for cannibalism. It’s not all bad news. The same could be said for environmentalism. If you suffer from Bush Derangement Syndrome and Palin Derangement Syndrome and read this (or possibly even this), your head is almost certain to explode. You can't show up for the debate and put the country first. You can't miss a meeting with Lady Lynn de Rothschild even if we're looking at the sequel to the great depression because putting the country first has its limits. More of the same. Can't do Letterman because of the economic crisis, but has no trouble sitting down for an interview with Couric. Here's a thought. If McCain wants to push back the debate with Obama, let's just have the VP debate this Friday. If you're gonna be VP, you have to be ready at a moment's notice, no? It's been ages since I've thought about fancy reliabilist views. Just a few questions for the aficionados out there. Q1. Remember "Indexical Reliabilism"? From what I gather from Comesana's Phil Studies article published back in 2002, he thought he was developing a view he found in Sosa's work. Sosa drew that distinction between apt and adroit justification and Comesana found a way to talk about that distinction using some machinery developed by folks interested in two-dimensionalism. There might be some interesting differences between their approaches, but in terms of the epistemic aspects of their views, is there really much of a difference between Comesana and Sosa? Q2. As for Home Worlds Reliabilism, the view once championed by Sarah Sawyer and Brad Majors, I don't see how adopting the view that justification is a matter of reliability in a subject's home worlds (i.e., sets of environments relative to which the natures of her intentional contents are individuated) is really going to help. If someone is caused to hallucinate by a demon from the cradle, as it were, it's true that they won't be a mental duplicate of ours. So, pointing to such an individual does not show that it's possible for someone to be in just our mental states and be without any reliable way of forming beliefs about the external world. But, as Comesana points out, HWR doesn't seem to have much to say about cases where a demon comes along on this weekend for your 32nd birthday (hint) and starts deceiving you. Your thought contents don't switch all that quickly and you seem pretty unreliable in the environment relative to which the natures of your thought contents are individuated. Two further worries in this vicinity. Suppose we were convinced by philosophical arguments for error theory about color. So, suppose we were convinced that the ordinary folk are systematically wrong in their attributions of color. Okay, but aren't they justified in their non-inferential color judgments? I find this as intuitive as the original intuition underlying the new evil demon thought experiment. Worse, think back now to our from-the-cradle-hallucinator. If this subject has beliefs (about God only knows what) and experiences with contents (representing God only knows what), we wouldn't say that this subject is reliable about whatever it is that the subject is thinking about (unless, perhaps, we think that this subject is thinking about demons), but if the transitions from experience to belief are rational as are the transitions from belief to believe, it seems we should say that this subject is justified in thinking about whatever it is thinking about. And, that seems to cause trouble for HWR because while our contents aren't individuated relative to such an environment, this subject's contents are so individuated. Vise Peeper Palin (that's me) and Jeep Pike Palin are going bowling this weekend! The Following View: A belief's justification depends on evidence that possessing that belief will serve the agent's practical aims. Why does the evidentialist reject TFV? I would have thought that the reason would have to do with the norms of belief. Once we specify the norms of belief, we can answer the 'Evidence of what?' question. So, what should the evidentialist say is the norm of belief? If they have some other way of answering the 'Evidence of what?' question, what is it? SMU is paying June Jones $2 million per season and SMU is one for three on the season. Here's a thought. Funnel some of that money into academics. Buying us computers and sending us to conferences won't help win games, but neither will the coaches you hire. 1. Given the exclusive options of saving the life of a puppy or saving the life of fetus, a pregnant woman is morally permitted to save her puppy rather than the fetus. 2. If the fetus had greater moral standing than puppies, it would not be permissible for the pregnant woman to save the puppy rather than the fetus. C2. :. Being a fetus does not itself confer greater moral standing than being a puppy. It's pretty fucked for McCain to run this ad. I'm just itching to know how a McCain supporter could defend this. Here's a question for those of you who are up on the literature on reasons and rationality. I'm thinking of the stuff that takes account of Broome's work on normative requirements (here's a good starting place). I don't like the view that there are reasons to be rational and especially dislike the view that rationality is a matter of correctly responding to reasons. Familiar territory, I don't want to cover it again. Let me ask a slightly different question. Can there be reasons which you can only respond to only by violating a normative requirement? I happen to think not. (I also happen to think that in spite of their many differences, this isn't something that separates Broome from his opponents like Dreier.) I think there can't be reasons that can't figure in reasoning, and reasons whose demands can be met only by violating a normative requirement, are reasons that can't figure in reasoning unless the reasoner is less than minimally rational (i.e., the sort who we don't consider when we ask questions like 'Can anyone intend to drink the toxin?). It would be nice to have an argument for this view, one that goes beyond saying 'Well, reasons have to be the sort of thing that can figure in reasoning and reasons whose demands can be met only if you violate some normative requirement are not like that'. Prepared by a clearer view of the justification in question, we are in a position to identify the nature of the truth connection. A proposition is epistemically justified to someone when it is evident to the person that the proposition is true. A: It was evident to the detective that Mustard killed Plum. B: But it was Peacock that killed Plum, not Mustard. I thought I'd mention that Brain Pains is back. Philippe has just posted on Schwitzgebel’s, "The Unreliability of Naïve Introspection” (here). Here's a bad segue. Now that the RNC is over, I'm experiencing far fewer brain pains. We watched McCain's speech last night. If, as it seems, we should look at these conventions as sounds signifying nothing, I just like the sounds coming out of the DNC better than those coming from the RNC. If, however, we're actually supposed to think about the content of what was said, I gotta say that I didn't get much out of the speeches at the RNC except this. Romney: There's the party that believes in human rights and there's us, the party that doesn't. Giuliani: We'll drink the blood of the Mohamedists! 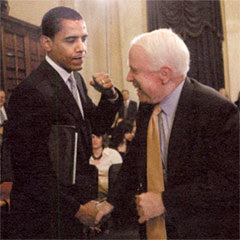 McCain: I'll end the scourge of unemployment insurance and you people owe me the office. Also, Republicans can't dance and wear really, really stupid hats. Quick one. There aren't a ton of folks who identify justified belief with knowledge, but I think the number is increasing. At the very least, an increasing number are defending views that seem to carry the consequence that K = JB. the proposition that p as a reason for believing q only if one knows that p. One attractive feature of the Action-Knowledge Principle is that it unifies the practical and theoretical domain of reasons: if it is correct, then proper reasons for belief and reasons for action have a uniform nature. The argument. If a condition necessary for justified belief that p is true is that p is a reason for believing that which is an obvious consequence of it (i.e., justification is closed under known entailment), it would follow that Hawthorne and Stanley are thus committed to the view that knowledge of p’s truth is necessary for having a justified belief that p. After all, p is as obvious a consequence of p as any could be. Is that right? JC: If S's belief that p is justified, p is a reason for S to believe that which is an obvious (i.e., known with certainty) consequence of p.
(1) If p is an epistemic reason of S's, S knows p (H&S's view). (2) If S's belief that p is justified, p is a reason for S to believe that which is an obvious consequence of p (JC). (3) p is as obvious a consequence of p as anything is (DUH). (4) If S's belief that p is justified, p is an epistemic reason of S's ((2), (3)). (C) If S's belief that p is justified, S knows p((1), (4)).